The International Cryptozoology Museum, founded on August 1, 2003, has an important announcement to share. Beginning November 1, 2018, the new Executive Director of our 501(c)3, federal and state nonprofit Museum will be Jenny W. Coleman of Portland, Maine. 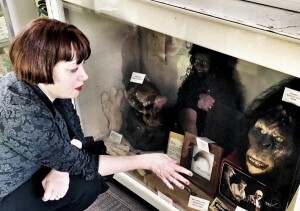 Jenny Coleman has been interested in cryptozoology since she was six years old, when her reading revealed a curiosity about the recorded sightings of the Loch Ness Monsters. This lead to a generalized interest in cryptozoology, which resulted in her correspondence with, and eventual marriage to a well-known cryptozoologist. Jenny Coleman spent twenty years working in health care financial services before her direct association with the Museum. She has a Bachelor of Arts in English from the University of Maine Orono. Her articles on unexplained mysteries have been published in Fortean Times and other international outlets. 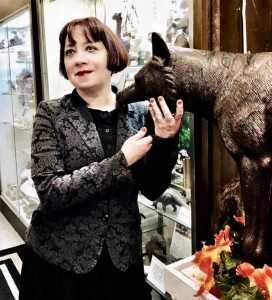 With Jenny W. Coleman’s approval by the International Cryptozoology Museum’s Board of Director to the directorship, the ICM demonstrates its commitment to reinforcing the role of women in cryptozoology and in the leadership of the field. 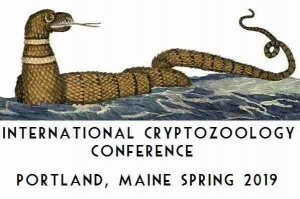 The current director, founder Loren Coleman, will henceforth be the Director Emeritus and President of the Board of the Director of the International Cryptozoology Museum. Jeff Meuse will continue as the Assistant Director. With an enhanced leadership team, we foresee great improvements to the Museum in our future, during our expanding presence at Thompson’s Point, Portland, Maine. For tickets, for vendor space, and to support the 2019 Conference, click here. 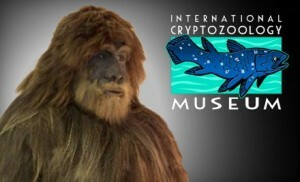 For information on the International Cryptozoology Museum, click here. Congratulations to our new Executive Director Jennifer White Coleman!